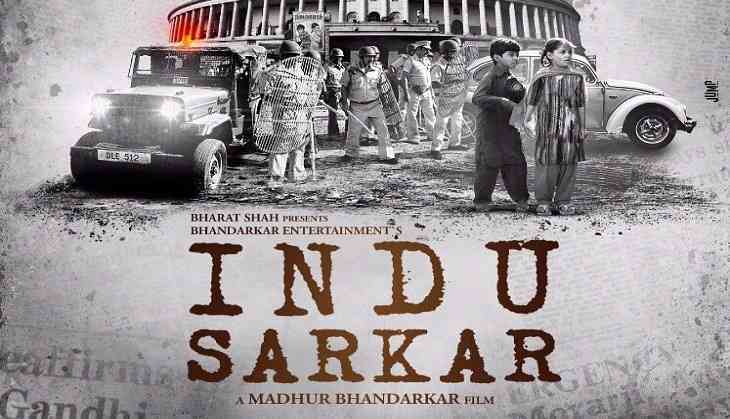 While Madhur Bhandarkar's upcoming project 'Indu Sarkar' is still in its post production process, the filmmaker has now released the its first look poster. The first poster of the film witnesses the actors of the film sporting an intense look. Featuring Kirti Kulhari, Tota Roy Chowdhury, Neil Nitin Mukesh and Anupam Kher in pivotal roles, the film set in 1970s when the Emergency was announced in India. Supriya Vinod will be playing former Indian Prime Minister Indira Gandhi and Neil Nitin Mukesh will be seen playing Late Sanjay Gandhi in the film. The movie will be based on a 21-month long period from 1975 to 1977, when Prime Minister Indira Gandhi unilaterally had a state of emergency declared across the country. The Padma Shri winner Madhur Bhandarkar is famous for his socially relevant films like "Traffic Signal", "Chandni Bar", "Fashion", "Page 3" and many others. The filmmaker believes that the youth of today is keen to know what happened during the time of Emergency. The flick 'Indu Sarkar' is currently locked for release on 28th July 2017.